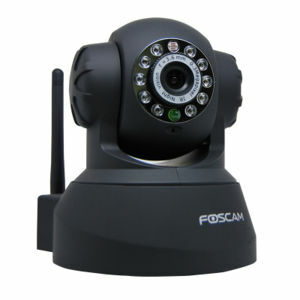 Provisionally working either as a plug and play IP camera with pan/tilt commands or as a 'Generic Motion IP camera' under motion wrapper and used as a sensor as well as recording movement etc. Wireless range 79373008896 to 79389786111 (DHCP). Wired range 414170742784 to 414171791359 (DHCP). This camera is fully plug and play as a stand-alone pan/tilt camera by duplicating the panasonic template and inserting the following scripts. s = "GET "+fix_path+" HTTP/1.0\r\n"
s+= " HTTP/1.0\r\n Accept: */*\r\n"
This page was last modified on 7 October 2013, at 16:04. This page has been accessed 21,142 times.